Patricia A. 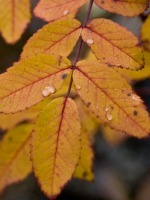 “Pat” Kling of Otsego, MI passed away, Tuesday, July 29, 2014 in Kalamazoo. 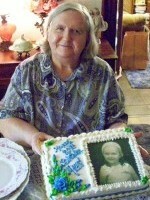 Pat was born September 8, 1933 in Alamo Township, the daughter of Alberian and Gladys (Abraham) Stephens. She enjoyed reading, watching old movies, collecting antiques and decorative painting. 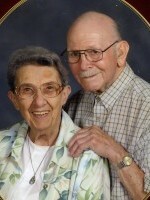 On June 4, 1953 in Otsego, Pat married Lenard Kling who preceded her in death in 2011. She is survived by her sons, Lenard Kling Jr. and Kevin (Shelley) Kling both of Otsego; 2 granddaughters, Amanda (Wayne) Vandenburg and Randi (Joe Gauthier) Kling; her sisters-in-law, Caroline Kling, Irene Haas, Glenda Kling and Shirley Kling a brother-in-law, Richard (Ann) Kling; several nieces and nephews. Pat was preceded in death by her husband, her parents and her siblings, Al (Doris) Stephens and Rose Stephens. Friends may meet with the family Thursday, July 31, 2014, from 6:00 to 8:00 P.M. at the Winkel Funeral Home, Otsego, where services will be held Friday, August 1, 2014, at 1:00 P.M., Pastor Mark Minegar officiating. Interment will follow at Mt. Home Cemetery Otsego. Those desiring may make memorial contributions to St. Jude’s Children’s Hospital. 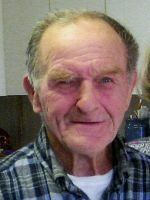 Edwin Bileth of Otsego passed away Saturday, July 26, 2014 at his home. Mr. Bileth was born March 31, 1932 in Grand Rapids. He served his country in the US Army during the Korean Conflict. Ed worked for 30 years for General Motors retiring in 1995. Surviving are his children, Ron (Linda) Cook, Ron (Gloria) Wheaton, Jim Wheaton, Linette Russell; his grandchildren, Mike Menck, Tim (Becky) Menck, Jimmy (Kristian) Wheaton, Dave (Carol) Barber, Jorge (Heather) Vazquez, Kimberly Wheaton, Lindsey Russell, Timmy Beebe; 9 great-grandchildren. He was preceded in death by his wife Dolores Bileth and 3 brothers. Friends may visit with Ed’s family from 5-8 P.M. Thursday, July 31, 2014 at the Winkel Funeral Home, Otsego. A private family burial will take place later at Miner Cemetery. Contributions in memory of Ed may be made to the West Michigan Cancer Center. Theodore Simonds of Otsego passed away Friday, July 25, 2014 at Borgess Medical Center in Kalamazoo. Ted was born February 4, 1965 in Kalamazoo the son of James and Maxine (Wilkinson) Simonds. He had done lawn care as the owner/operator of Bill & Ted’s Lawn Care and had worked several other jobs in the area, most recently working for Gary Sanders Well Drilling.Ted enjoyed trains, traveling to the lake for sunsets and spending time fishing. He will be remembered as a kind hearted man who loved his family. Surviving are his father, James; his siblings, Dale (Lucy) Simonds of Allegan, Ralph (Ruth) Simonds of Allegan, LaVerne (Joyce) Simonds of Mattawan and Michael (Deborah) Simonds of Otsego; several nieces and nephews; and his soul mate Sue Miner. He was preceded in death by his mother and by his best friend Bill Miner. A Memorial Service will take place on Saturday, August 2, 2014 at 2 P.M. at 706 26th Street, Allegan. Contributions in memory of Ted may be made to the American Heart Association. 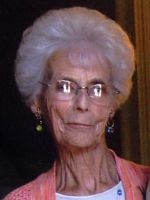 Leona Smith of Plainwell passed away Saturday, July 26, 2014 in Plainwell. Leona was born September 8, 1919 in Gobles to Erwin and Lura (Turner) Kelly. She graduated from Gobles High School in 1937 as Valedictorian of her class and then attended Parsons Business College in Kalamazoo. Leona worked at Burroughs Manufacturing/LSI in Kalamazoo retiring after 27 years. She was member of PSI (Professional Secretaries International) and was Secretary of the Year in 1984. On August 20, 1939, in Gobles she was married to James L. Smith who preceded her death in 2011. They were married almost 72 years. Leona was a member of the United Methodist Church in Gobles where she played piano. For the past several years she was a member of the Otsego United Methodist Church where she was especially active with the making of the famous Apple Dumplings. She was an Avid Detroit Tigers fan; enjoyed golfing, bowling, reading, putting puzzles together, playing cards and canning fruits and vegetables; and especially loved to do embroidery making special gifts for all her children Leona was a farmer’s wife which placed her on the tractor in the fields and also cooking meals for farm hands for several years. She lived on their farm until 2012 when she moved to Stanford Lodge. Surviving are three daughters, Janet (Bob) Cushman and Carol (Donald) VerHage and Shirley Hayse, all of Otsego; a daughter-in-law, Roxie Smith of Colorado; 13 grandchildren; 39 great-grandchildren; and 11 great-great-grandchildren; her siblings, Marion VanStrein and Erwin (Betty) Kelly. Leona was preceded in death by her son, Larry Smith; and a son-in-law, Daniel Hayse; and a brother Bernith Kelly. In keeping with her wishes cremation has taken place. Friends may visit with Leona’s family from 6-8 P.M. Friday, August 1, 2014, at the Winkel Funeral Home, Otsego where a funeral service will take place Saturday, August 2, 2014, at 11:00 A.M., Pastor Joe Shaler officiating. Private burial of ashes will follow at Alamo Center Cemetery. In Lieu of flowers contributions in memory of Leona may be made to the Otsego United Methodist Church. Phillip Rowe passed away Friday, July 25, 2014 at home. Phillip was born August 23, 1926 in Kalamazoo to Eby and Viola (Phelps) Rowe. He was lovingly known as “Charlie”, “Uncle Charlie” and “Chuckles”. 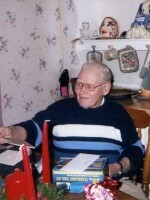 He loved people by visiting with neighbors and friends and having company. Phillip enjoyed being busy helping people do chores and odd jobs. He liked country music, polkas and strumming of his guitar, playing baseball and basketball and loved tractor rides. Surviving are his sister Virginia; 4 nieces and 4 nephews; many great nieces, nephews and cousins; especially a special great niece Melissa; his buddies, Marlin, Wilson, Quinton and Tim. He was preceded in death by his parents; a sister Margaret and brother Robert. Cremation has taken place. A private Family Graveside Service will take place at Hamilton Cemetery in Decatur at a later time. Contributions in memory of Phillip may be made to Reverence Borgess Hospice in Kalamazoo. David W. Zugel of Plainwell, MI passed away on Thursday, July 24, 2014 at Wings Home in Allegan. David was born on July 18, 1953 in Kalamazoo, Michigan to William and Maxine (Grenn) Zugel. At the age of 17 David began working for Hammond Machine where he remained employed for almost 35 years. For the last 10 years David worked for Flowserve in Kalamazoo. David enjoyed flying model airplanes with the Thunderbirds R.C. Club at the River Oaks Park in Comstock. On February 14, 1990 in Schoolcraft, Michigan he was married to Julia Bogema who survives. David is also survived by his children, Adam (Kim) Zugel and Heidi Zugel; step-son, Calvin Shafer; 4 grandchildren; brother, Phil (Rayma) Zugel and several nieces and nephews. He was preceded in death by his parents, Bill and Maxine. According to his wishes cremation has taken place. A private memorial service will be held this fall. Contributions in memory of David may be made to Wings of Hope Hospice in Allegan, Michigan. 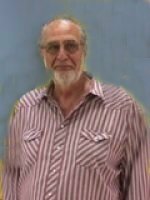 Roger L. Marks of Otsego, Michigan, passed away on July 20, 2014 at his home, surrounded by his family, after a courageous battle with cancer. Roger was born on June 1, 1955 in Plainwell, Michigan to George “Skip” and Rosalie (Jones) Marks. He worked for many years at Preferred Plastics in Plainwell. He was a veteran of the U. S. Navy, having served onboard the USS Guam. Roger will be remembered for his great sense of humor and his ever present smile. His love of classic rock-n-roll music and Budweiser went hand in hand, and sharing his knowledge of rock music, along with a few beers, was his passion. Roger is survived by his daughter, Trina Marie Marks, of Kalamazoo, granddaughters, Miah and Amara, his siblings, George Marks, of Kendall, Ronnie Marks, and Cindy McDonald (Kenny) of Otsego, the Pritchard family, Nancy, Cheryl, Renee, and Charlie, step-siblings, Angel Clark (Pat), Mike Walker (Tamera), Paul Walker, Wendy Walker, and Tammie Walker, grandmother, Lillian Jones of Otsego, aunts Marian Jones and Donna Jones-Wilson, his uncle Preston Marks (Barbara) of Chattanooga, Tennessee, best friends, Rick and Kelley DePauw, and many, many dear cousins, nieces, and nephews. He was preceded in death by his parents, and his nephews, Cory Stoughton and Mark Verploegh. Roger’s family invites all of his friends and co-workers to a memorial service which will be held on Saturday, August 2, 2014 at 2:00pm at the VFW Post 3030 in Otsego, Michigan. After the memorial service, there will be a celebration of Roger’s life at his favorite place to party, Ronnie’s Mendocino Bar, 1795 Jefferson Road, Otsego, Michigan. The family wishes that memorial contributions be directed to the same address to help out with funeral expenses. 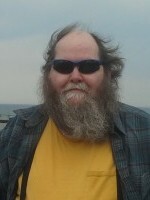 Philip A. Pape of Otsego, Michigan, passed away Wednesday, July 16, 2014 in Ann Arbor due to complications from surgery. Mr. Pape was born November 15, 1943 in Kalamazoo the son of Andrew and Beulah (DeHaven) Pape. Phil had been employed with Clarage Fan/Zurn Industries and Carpenters Union Local #1102. He was a member of the Otsego Moose; Otsego Masonic Lodge; the Eagles of Traverse City, Interlochen and Paw Paw-Lawton; Moslem Shrine of Detroit; the Kalamazoo Shrine Club and Clan 80 of the Hillbillies. In his leisure time he enjoyed hunting, fishing and tinkering. On May 14, 1983 in Plainwell he married Josephine “Josie” (Kusmack) who survives. Also surviving are a son Paul Pape of Kalamazoo; 2 daughters, Marla Pullen and Kerri (Dale) Wallace both of Goshen, IN; 7 grandchildren and 6 great grandchildren; a cousin Rick Pape who was like his brother; and his loyal companion, Miss Tee. Cremation has taken place. Friends may visit with his family from 5-8 P.M. Wednesday, July 23, 2014, at the Winkel Funeral Home, Otsego where a Memorial Service will take place Thursday, July 24, 2014, at 11:00 A.M., Pastor Joe Shaler officiating. Contributions in memory of Philip may be made to Shriner’s Childrens Hospital or Otsego United Methodist Church.